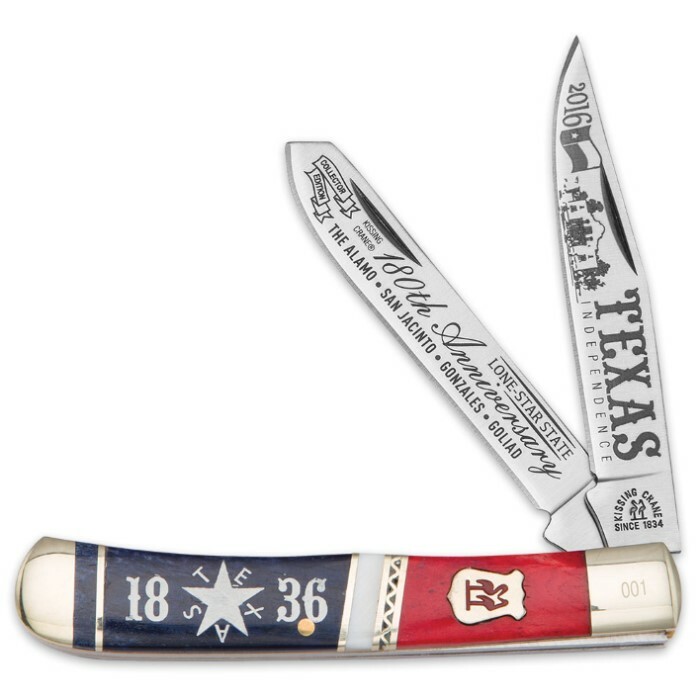 Kissing Crane Texas Independence Trapper Pocket Knife | BUDK.com - Knives & Swords At The Lowest Prices! 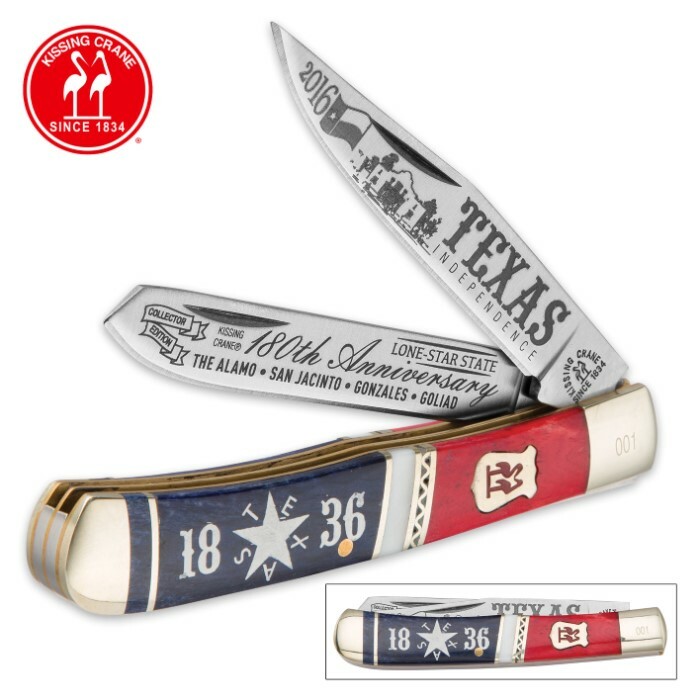 I've been waiting for this knife to become available literally for months. Ever since it was in the "New" section back around May 2018. Let me tell you, it was well worth the wait. Gorgeous bone handle. The blue is a little lighter then expected but it matches nicely. The brass on my was a little scratched. All in all a beautiful knife. 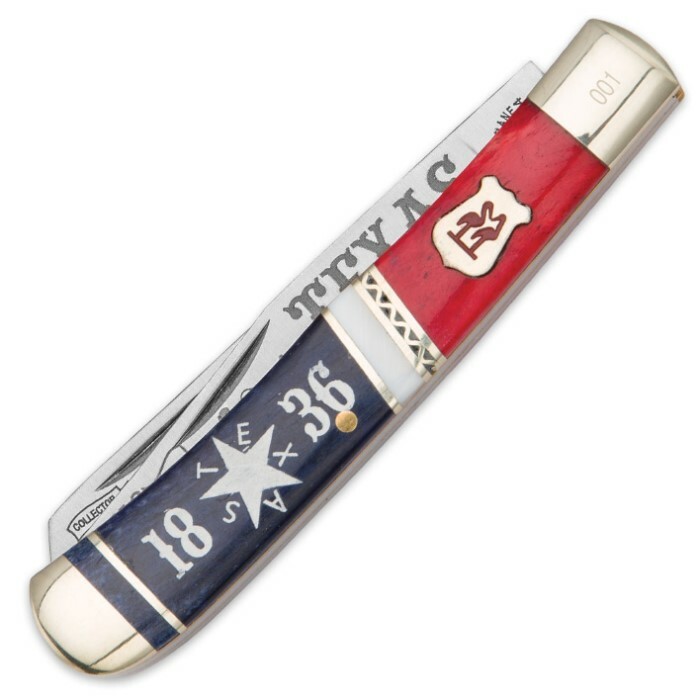 Completes my "Americana collection" from BudK.